Remember how Mayor Rahm Emanuel and Ald. Tom Tunney (44th) said the food truck ordinance passed by City Council last July would be a jobs creator and an economic boon for Chicago, even as they restricted when and where food trucks could operate? 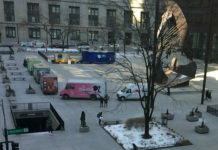 The Tribune’s Monica Eng took a look at how the licensing for food truck has gone in the five months since the ordinance passed and, to no one’s surprise, not a single food truck has been licensed to cook their food on board by the city. 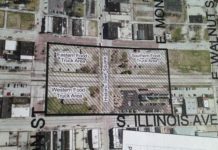 Naturally, city officials and food truck proponents have differing reasons for the stalling. 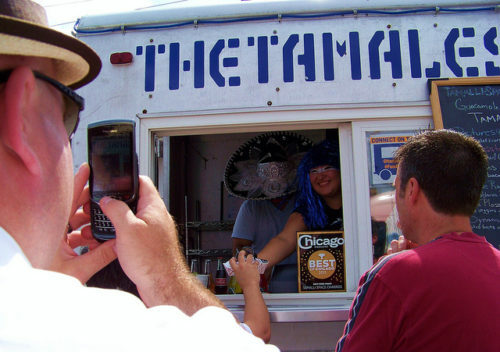 Food truck owners claim the city’s licensing process is too maddening to navigate, buried deep in a bureaucracy that Emanuel said was supposed to be streamlined once he took office. Eng spoke with Gabriel Wiesen, who operates Beavers Coffee + Donuts and owns a company that helps outfit food trucks across the country. Wiesen said the Chicago Municipal Code is among the most stringent in the country, while the City Health Department doesn’t offer much in the way of solutions to help streamline the licensing process. Notably, Wiesen said the Health Department requires food trucks to install ventilation systems similar to those found in brick-and-mortar restaurants, which would raise the height of some trucks to 13 feet, making them impossible to pass under some viaducts. 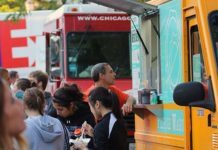 Chicago Department of Business Affairs and Consumer Protection spokeswoman Jennifer Lipford told Eng the fault is with food truck owners who have given up navigating the city’s maze of red tape. Lipford said only four of 109 applicants have returned for follow-up consultations and few are taking advantage of the city’s workshops to make the licensing process easier. The lesson learned here is, even as Chicago’s Elective Majesty changes, the slow pace of government remains the same. If the food truck ordinance is, as Tunney said during the debate before its passage, a work in progress, then the Health Department needs to meet food truck operators part of the way in order to facilitate that. Otherwise, Chicago’s food truck scene, already on life support, may not be revived.